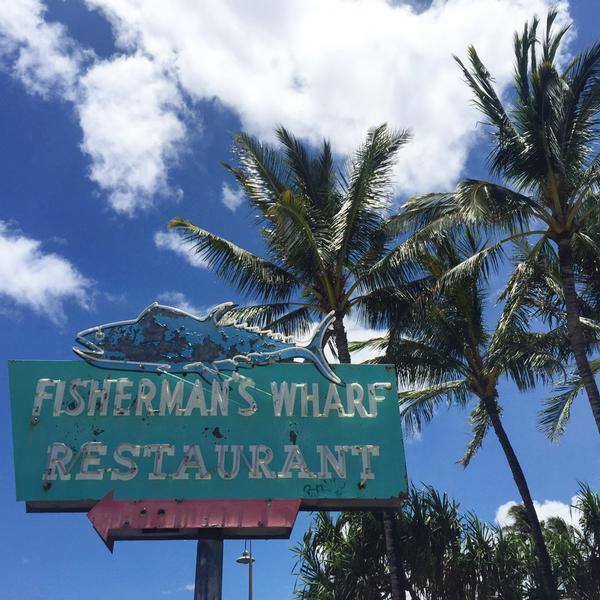 When you’re a visitor to Hawaii, it can be difficult to choose which local restaurant to visit, and even harder to rule-out the ones that don’t make the cut. But, now, you can sample nearly a dozen local eateries all in once place, courtesy of Street Grindz (grindz=”food”). Starting this week, Street Grindz is hosting a daily event called Street Grindz: Kewalo. It’s a “soft opening” for an even larger street-fare venue that will open later this summer. Called “Makers and Tasters,” the new venue will feature a food park and marketplace along Kewalo Harbor, in the heart of Honolulu. Featuring “MakerStations,” which are more permanent structures insead of tents, the new venue is still a work-in-progress, but promises to be a gathering place for foodies, locals who want to see what’s new, and visitors who want to restaurant-hop without the cab fare. Until “Makers and Tasters” is ready to open, hungry visitors can spend the next few weeks at Street Grindz: Kewalo, a daily pop-up that offers local food from ten different local eateries for lunch and dinner. The day-to-day operation is a departure for the well-known street-food organizer as it further expands from monthly “Eat the Street” events to daily service. 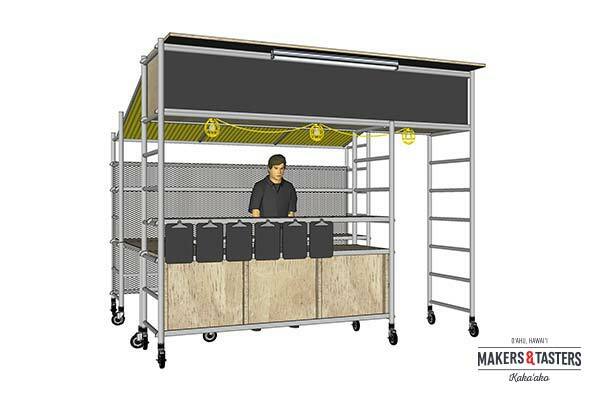 This is what the company imagines a "MakerStation" will look like. This week’s vendors include: Kau Kau Grill, Ku’uipo Lunch Wagon, Waimanalo Country Farms, Inferno’s Wood Fired Pizza, Big and Beast Steak Sandwiches, and Aloha Plate. Street Grindz: Kewalo is located at 1011 Ala Moana Blvd. where the former Fisherman’s Wharf once stood. Earlier this year, the company was granted a lease for the space and hopes to transform the location into the next restaurant hot-spot. Street Grindz is located at Fisherman's Wharf in Honolulu. The daily food pop-up will “soft-open” this week and be open from 10 am to 10 pm with a variety of food trucks and mobile food vendors rotating during operating hours. And, good news for the parking-fee-averse: Lots of free parking is available. The entrance to the venue is off Ala Moana Blvd. Finding a permanent home for those tasty goods—while still maintaining the street-food vibe—is the goal for Street Grindz. And, since the goal of most visitors is to experience the most cuisine in the least amount of time, the development may be a win-win for both the company and visitors alike. When planning a trip to eat at Street Grindz: Kewalo, make sure you check out which vendors will set-up that day. You can follow Street Grindz on Instagram: @streetgrindz. Or, visit www.streetgrindz.com.